Sonographers are now regulated in Ontario! The Ontario Ministry of Health and Long-Term Care has made the necessary regulations for CMRTO to regulate diagnostic medical sonographers as a fifth specialty. 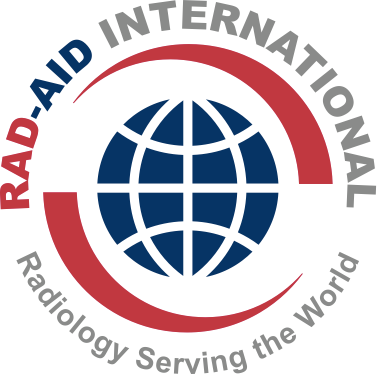 These regulations, made under the Medical Radiation Technology Act came into force on January 1, 2018. Effective January 1, 2019, it will be mandatory for diagnostic medical sonographers (general, cardiac and vascular) to be registered with the CMRTO in the specialty of diagnostic medical sonography in order to be legally authorized to practice diagnostic medical sonography and to apply soundwaves for diagnostic ultrasound in Ontario. If you are not a member of the College of Physicians and Surgeons of Ontario (CPSO), the College of Nurses of Ontario (CNO) or the College of Midwives of Ontario (CMO) and are going to be practising the profession of diagnostic medical sonography and applying soundwaves for the purposes of diagnostic ultrasound in Ontario on January 1, 2019 and thereafter, you must be registered with the CMRTO. Active members of CMRTO, CPSO, CNO and CMO are authorized to apply soundwaves for the purpose of diagnostic ultrasound under O. Reg. 107/96, the Controlled Acts Regulation, made under the Regulated Health Professions Act. The protected title for sonographers is ‘diagnostic medical sonographer’ or ‘DMS’. Only members of CMRTO registered in the specialty of diagnostic medical sonography are legally authorized to use the protected title in Ontario. If you will, or may wish to, practice as a diagnostic medical sonographer in Ontario on January 1, 2019, and thereafter, you must apply for registration with CMRTO in 2018. The registration requirements are set out in O. Reg 866/93, made under the Medical Radiation Technology Act. As it can take up to four months to process an application, it is recommended that sonographers apply to CMRTO by July 2018. On or before December 31, 2018, sonographers can apply for registration with the CMRTO using one of two methods – the grandparenting provision OR by completing an approved educational program and an approved examination. The grandparenting provision provides sonographers who do not meet the registration requirements of having successfully completed an approved educational program and an approved examination, but who are engaged in competent practice in the scope of practice of the profession, to become registered and authorized to work in the specialty in Ontario. After December 31, 2018, the grandparenting provision will no longer be available to applicants and all applicants will have to complete an approved educational program and an approved examination, in order to be eligible for registration. If you are working or have previously worked as a sonographer in another province and you think you may wish to practice in Ontario at some time in the future, you should apply to the CMRTO under the grandparenting provision no later than the deadline of December 31, 2018. 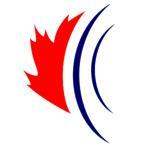 The online application process is available on the CMRTO website at www.cmrto.org. You will also want to review the ‘Application Guide for individuals applying for registration with the CMRTO in the specialty of diagnostic medical sonography’, which is also available on the CMRTO website. It is expected that the Medical Radiation and Imaging Technology Act will be proclaimed to come into force on January 1, 2019. 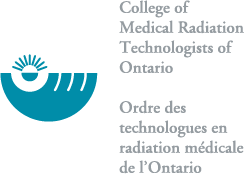 When that happens, the new Act will repeal and replace the Medical Radiation Technology Act and the name of CMRTO will change to the College of Medical Radiation and Imaging Technologists of Ontario (CMRITO). Check out the CMRTO website at www.cmrto.org for the latest information about the regulation of sonographers, the online application process and YouTube videos. You will also want to review the ‘DMS regulation information and FAQs’ also available on the CMRTO website.